In this blog I would like to share my attempt to test a Hyperledger application locally before deployment using Hyperledger’s built-in capabilities and later show how to use the BDD appoach. In my scenario, I’d like to demonstrate a basic assets transfer process between blockchain network participants. 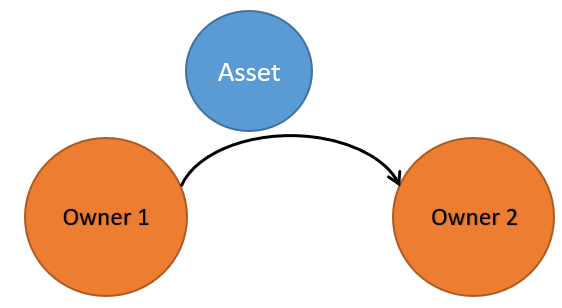 So, there will be two Owners instantiated, which will exchange an Asset object. This transfer of the asset will be unit tested as well as the process of creation of the entities. This is a VERY basic setup just to show the approach and barely keep the state of the ledger. It can certainly be advanced to a more complex end-to-end process with the respective code quality and testing coverage. From the tooling point of view, you can use Atom as code editor. Even though any text editor will do. The build and test commands will be run in the Git client and Go language runtime. Please take a look here for detailed setup instructions. TIP: If you have experience in Go and you’d like to see the final results without going into setup details, you are very welcome to jump straight to Step 3 below. The entities we created can now be used by the chaincode main program consisting of the Init method for network initialisation and the Invoke method to call an instance method directly. The code above is fully deployable to the SAP CF Hyperledger Fabric service, so you can try it out yourself. Don’t forget to create a zip file when installing the chaincode as explained here. Now we can start building our first tests based on the basic model we’ve implemented. Luckily, we don’t have to build a lot of code on top as Go runtime environment provides us with a lot of ready to use functionality in the testing package. The official SAP Chaincode Unit Testing documentation gives a valuable input on how to start writing unit tests. Let’s try to follow it up. The test will be located in a separate _test.go file. We just need to import the testing package and create at least one function prefixed with “Test” exactly like in the code below. We specify that this test belongs to the “main” package by the first statement. Ideally tests should be in a separate package to respect the encapsulation of the “main” package being tested, but here we don’t want to over-complicate the matter. This is because the folder structure and global variables may not be configured properly for the code to be runnable should you try it out yourself. You can find more information on this topic here. The test starts itself with the MockStub initialisation in the helper method called “InitChaincode”. The chaincode functions are invoked by the MockInvoke method wrapped into the “Invoke” helper. Tests are run in console by the go test -v command (verbose mode). Overall, the code for this step repeats the official SAP guide and looks quite primitive. Let’s try to add some sugar and semantics into it. I needed to re-organise the tests to make the code more readable. I planned to improve by applying the Arrange-Act-Assert approach. So that I’d prepare all the data for execution first, then I’d call the chaincode invoke methods and finally would check the state of the ledger by comparing the returned results with the desired results. While doing this, I should not focus on the pure technical details and check meticulously each method as it would take too much effort. It would be beneficial to focus instead on behavioral aspects so that the tests ensure that invoke functions work together as expected. I prepared my code and was going to explain it here in the blog, but then I realised that I actually fell into anti-pattern. The tests have become way too complex without any essential benefit. They were difficult to follow. So I decided to look around and found an excellent BDD Testing Framework for Go called Ginkgo. Ginkgo allows you to write expressive tests in an efficient manner. It installs itself into existing Go environment and allows you to run tests with the usual go test command. As with popular BDD frameworks in other languages, Ginkgo allows grouping tests into container blocks which can also hold your assertions. It also comes with handy structural utilities that improve code reuse. Let’s see how to use it. Our tests share the main package with the chaincode logic. We import the necessary packages. Gomega is Ginkgo’s preferred matcher/assertion library. The TestAsset is a regular Go test function which will be run by the go test command. The name of it should begin with Test. RegisterFailHandler creates the coupling between Ginkgo and Gomega. Here Ginkgo’s Fail function is passed to Gomega in case of test failure. RunSpecs(t *testing.T, suiteDescription string) tells Ginkgo to start the test suite. So now we understand that we’ll have three ‘assertions’ within the same ‘context’. The Specify block above is only an alias of the It block. It just helps the specification to be read as natural language. We can also make specifications more expressive by using the full list of Gomega matchers. Created a mock Owner with data. This can be defined as a separate util method or put into a fixture file. Defined the variable to contain the arguments for the MockInvoke including the function name and the mock Owner. Initialised the chaincode by MockInit. Checked that the received status of the operation is “200” (Success). Defined the argsToRead variable holding the function name to Invoke the blockchain and the only parameter for it with the owner’s id. Initialised the chaincode by MockInit. This can be moved into a common setup block called BeforeEach which is run before each specification. We checked the received results exactly as we did in the previous block. It looks like status200 needs to be defined in the global Context scope. The payload needs to be a global variable in the Context scope. The value of it will be set in the second It assertion. The mockOwner variable needs to have the same type of byte as the payload variable. As you see, we’ve described several global variables, which are initialised just before the Specifications are run and their Context is loaded. After that the assertions are executed one by one. We are seeing 7 specs in the results because each Describe, Context, It and Specify statement considered a spec. If you’d like more details in the output, you can switch to verbose mode by using the go test -ginkgo.v or ginkgo -v console commands. We removed the first Owner by the DelState statement. It was left from the previous spec run as the specs are currently not isolated. We converted the bytes into object by the json.Unmarshal statement to compare the OwnerIds in the last Specify block. Those conversion operations could probably be moved into utility methods. While the topic actually looks pretty boring, the importance of Smart Contract quality cannot be underestimated. You can start writing tests in Go fairly easily using the Hyperledger’s mockStub implementation. However, you can always choose a BDD library for a structured approach and more reliable applications.